When you're one of the moms who organizes the school chess club you are also the mom who makes the thank you cards to give to volunteers who come every week to teach the kids. We have some very dedicated volunteers who show up for 8 or 9 weeks and help the kids learn chess and encourage them to do their best each week. We like to show our thanks at the end of club party with a small gift and of course a themed thank you card! Stampin' Up! doesn't have any chess stamps but I didn't let that stop me! The card is larger (5 x 8) than I normally make as we had to have room for about 70 kids to sign. Using Basic Black for the base I created a chess board with 1x1 Very Vanilla squares (great way to use up scraps! I made 3 of these cards and it was so nice to use pieces that I had in my scrap bag!). The sentiment was printed out on the computer. I found the "Keep Calm" free font and thought it was a fun saying to use on the card. The chess pieces were made by printing out some templates and tracing them onto Very Vanilla and then fussy cutting. I sponged the edges a bit with Sahara Sand ink to give them some dimension. I added the line details with the pen tip Sahara Sand marker. 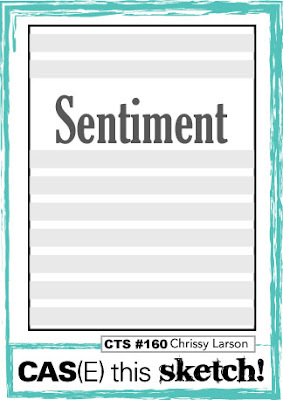 The sentiment panel and the pieces are popped up with dimensionals. These were fun cards to make and were a great ending to a fun year of chess club at the boys school. I hope you all had an enjoyable weekend! I had lots of time in the stamp room but not too much creating...I was cutting cardstock for my class on Tuesday. I prepared 84 card packets! My paper trimmer certainly got a good workout. I look forward to sharing the 3 projects later this week after the group gets to stamp them. I made this neutral toned card a few weeks back when I was playing around with the Going Places suite. I like the different sayings as well as the image stamps. They can be mixed and matched and are perfect for a lot of guy cards. This card was made with my husband in mind. I would literally be lost without him! Without a doubt he is the navigator in our family. He gets us places without getting lost or can find his way around a new place after looking at a map once. Me....well lets just say I have been known to take the long way around from time to time and not on purpose! I call it getting to know the area and having an adventure! I got busy with heat embossing on this card. I did the globe in clear embossing powder onto Sahara Sand cardstock and the compass in black embossing powder on Very Vanilla cardstock. Both circles are layered with dimensionals. The background is stamped with the Big Dipper (or is it Little Dipper?? My husband would probably know that too!) and a strip of Going Places DSP. I added a few touches of gold with Gold Glimmer paper mini stars made from the Stars border punch and gold threaded baker's twine. I also colored over some of the little stars in the background with the gold Wink of Stella pen. We are back at Fab Friday with another challenge to start your weekend off right! We alternate between color challenges and sketch challenges and this time it's a sketch. Whatever are you going to do with this layout? 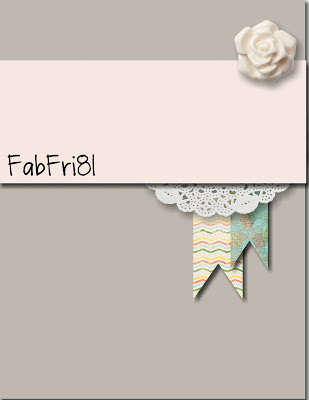 I can't wait to see so be sure to head to the Fab Friday page and share your lovely creations! The other day I was doing something completely non-stamping related and a thought came to me that I should make a yellow butterfly card. Hm? Ok! You don't have to twist my arm to get me to stamp a card, I can take a hint! The card base is Whisper White, and then another layer of Whisper White embossed with the Modern Mosaic embossing folder. I pulled my colors from the Sale-a-Bration (SAB) Wildflower Fields DSP. Of course a butterfly would be fluttering around these beauties. My butterfly from Watercolor Wings was stamped in 2 tones of Hello Honey. The bottom layer was stamped off once and the the top layer is full strength. The body is Soft Suede ink. I fussy cut it but it's not all that fussy so it was quite quick. It's then popped up on a dimensionals. The sentiment is stamped in Soft Suede as well and then punched with the the Decorative Label punch. I added a Blackberry Bliss cardstock banner and a Hello Honey satin ribbon one. 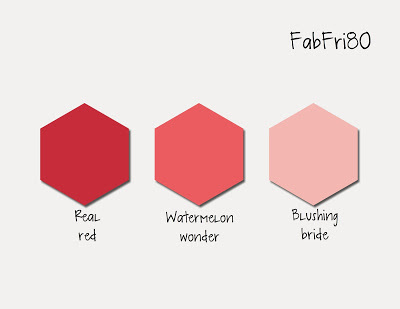 I hope you'll find inspiration with the rest of the Fab Friday Design Team samples and then play along! As you may know if you're a regular reader of mine I get a lot of inspiration from stamping challenge sites. I like seeing if I can make a color combo work or try my hand at a new layout. Well, one of the challenges that I often play along with (if not actually get my card posted to in time!) is the CAS(e) This Sketch! challenge. The ladies on the Design Team are super talented and I'm always in awe of how they interpret the sketches and put them to cardstock. This week I've been asked to join this fabulous group as a Guest Designer for challenge 160!! What an honor right? I hope I've done the sketch justice. Thanks for having me CTS Team! So many things you could do with those horizontal stripes wouldn't you say? I had to think on this one a while and decided that my Writing Notes background stamp fit the bill! Pair it up with Pool Party ink and it takes you right back to high school doesn't it? Remember that CAS stands for "Clean and Simple" so there needs to be lots of "white" space in the design. I stuck with a bold sentiment right on top of the lines and then added some smaller touches to highlight it but kept the rest of the design open to fit the sketch. Hello, which was a Stampin' Up! Sale-a-Bration (SAB) reward set for the first half of the annual promotion is one of my most favorite offerings for SAB ever. Hello has a permanent place in my sentiment stamp set collection for sure! I embossed the "Hello" and the "birthday girl" in black so it would have a bit of shine and pop against the white and Watermelon Wonder. I added a bit of bling with the gold sequins and Gold Wink of Stella on the popped up party hat. The narrow banner is popped up with dimensionals and decorated with a white baker's twine bow. This was such a fun card to make that I ended up making another one in Wisteria Wonder for my niece's birthday. I had to check on her favorite color and apparently right now it's purple so hopefully it still is purple by the time it gets to her! Definitely head over to see beautiful cards that the CAS(e) This Sketch! Design Team is sharing. I'm so glad they asked me to join them this week! Just a quick post this morning as there is a lot to check off the to do list before the short people get home from school. Isn't it funny how you have all week to get stuff done but come Friday it seems that nothing was accomplished? Definitely time for a 3 day weekend wouldn't you say? In keeping with Shannon West's #imbringingbirthdaysback campaign I've got a birthday card to share with you today. And it uses a Sale-a-Bration (SAB) stamp set that only has a few more days of availability! Yikes! If you haven't gotten this one yet it's time to place a $50 (before tax/shipping) or more order and grab Sky is the Limit before it's gone! After Feb. 15 this fun set will be retired. Click on my SHOP NOW button on the sidebar to begin placing your order so you can earn Sky is the Limit (or other SAB offerings) for free! The Sunburst Thinlet in the Occasions catalog really makes this card! I can't wait to work with this die some more. After cutting it out in Hello Honey cardstock I paper pierced the center for some added detail. I punched out some clouds using the Tree Builder punch and tucked them behind the rays. The airplane is stamped in Basic Gray and cut out. I stamped the propeller again and cut it out, added a mini brad and popped it up with a dimensional. The banner is stamped in Crumb Cake ink and then sponged around the edges with Hello Honey ink. I tied a bit of linen thread through the end and attached it under the airplane to make it look like it was pulling the sign through the sky. Both the banner and airplane are adhered with dimensionals. Get in that stamp room this weekend and make some birthday cards to send out. I wanted to share the 3rd card that we made at my most recent class today. I love the Rose Wonder/Rose Garden thinlet bundle but as I was designing the cards for class I realized I already had my 2 Big Shots booked for the other 2 projects. So I started playing around with ideas to use the stamp set without the dies. The card base is Watermelon Wonder and we stamped the rose onto Shimmery White cardstock in Memento ink. Using the empty corner of the cardstock we stamped and punched out the thank you sentiment. Next we used the aqua painter and the Strawberry Slush and Cucumber Crush ink pads to color in the rose and leaves. I used the more free approach of just brushing the ink onto the cardstock in big circles while squeezing to add a bit more water. I didn't paint each petal one at a time or get fussy with staying in the lines. Some of my stamping ladies had a rough time with this but you paint how you want to paint! After adding the color we cut around the one edge of the image. We tied a length of the Dotted Lace trim around the card front and then adhered the rose panel down. The thank you oval is popped on dimensionals across the lace. I just love these colors together. They just remind me of summer and seeing how cold it is here in Richmond today (well cold for us!) I could use a bit of summer thoughts! Today's card is quite the mix and match assortment. A lot of times I make cards and just use one stamp set and maybe that stamp set coordinates with some DSP. Other times a card comes together using all different products that might not seem like they go together at first glance. My stamp desk usually looks like a tornado hit it when one of these cards is being created! The card base is Sahara Sand with a little bit of the texture stamp from Gorgeous Grunge peeking out. The DSP is from the awesome Going Places DSP. I love these map designs. We were told at the a Stampin' Up! demonstrator event that these maps are of actual city streets so that is kind of cool! I rounded the corners to soften the edges and echo the bike circles. I used the retired small heart punch to punch out another small scrap of Going Places DSP and then flagged the end. Since this is a card I'm hand delivering I could get crazy with one of my hoarded mini library clips and attached a baker's twine bow to bring another little pop of red. It's an often overlooked stamp in the Sheltering Tree stamp set but the little bicycle is so cute and can be used on it's own outside of the nature/tree themed cards. The bike is stamped in Basic Black and Real Red on Very Vanilla and punched out with a circle punch. A few more circles are layered behind the bike to give it a little more weight. They are also popped up with a dimensional. I used the sentiment from the Sale-a-Bration set Botanicals For You. The stamp actually reads ...Because You're Awesome and I inked up just the "You're Awesome" with my black marker. 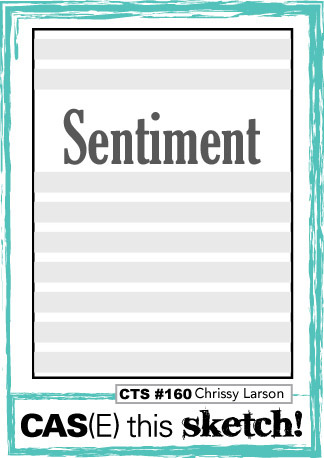 Using markers to ink up sentiment stamps gives you lots of options for mixing and matching sentiments to get just the one you need. If any of my blog readers are interested I also post on my Facebook business page "Stamping With Amanda" if anyone would like to "like" me to follow along with other stamping adventures. I do share my blog posts there but also other stamping related news, pics, tips and interesting items so feel free to join me there as well! There's not much time to get your cards made for Valentine's day so here's another idea. We made this card at my stamp club last week. It's a good guy card, not all pink and frilly with lace and doilies! Not that that's really my style anyway but it's nice to have a masculine card ready to go for your sweetie or Dad or son or brother. The card base is Crumb Cake with a layer of Typeset Specialty paper and a panel of Lost Lagoon embossed with the World Traveler embossing folder. We used a sponge and some Crumb Cake ink to highlight the raised parts. A small strip of the the chevron ribbon goes across the card front. The world is stamped with Mossy Meadow ink onto the Sale-a-Bration (SAB) Perfectly Artistic DSP. It looks so cool as the swirls in the paper look like weather or clouds over the "ocean" parts. Remember that this pack of paper is a limited time only Sale-a-Bration offering so you only have until Feb. 15 to earn it with a qualifying order. Next, We hand cut the world as I didn't have a punch or framelit that fit just right. For the sentiment we stamped it in Mossy Meadow and punched it out with an oval punch. And here is my favorite heart from the Owl punch using the gold foil paper. The world and sentiment are popped up with dimensionals and the heart is attached using a drop of glue. We are back at Fab Friday after a break since Christmas. It's good to have a few weeks off to recharge and then jump back into the new challenges for 2016. We are starting off with a color challenge this time! Real Red, Watermelon Wonder and Blushing Bride. I'll bet some of you will get super creative with these colors and just knock our socks off with a great use that I never would have thought of. For me though, my mind went straight to Valentine's Day and as I was pressed for time making this card I couldn't dawdle and mess around with some other ideas so break out the hearts and love for this one! My card is a great way to use up some scraps that have been accumulating! I simply dug out some narrow strips of cardstock in our challenge colors and adhered them right to the front of my card which is thick Whisper White cardstock. The strips of cardstock are all different widths so it didn't come out too matchy matchy. I used the retired hearts framelits to cut a larger heart and then a smaller one out of another piece of Whisper White cardstock. I then popped both up on dimensionals. Next, I pulled out the Paper Pumpkin kit stamps from last year's Valentine treat kit and stamped the sentiment on another scrap of Whisper White and then flagged the ends. My silver embellishments have been neglected lately so I added a strip of silver sequin trim as well as some silver thread behind the banner. I used a few more dimensionals to pop the banner up on the small heart. And I seem to not be able to say no to the Blushing Bride Glimmer paper this Valentine's Day card season so I added a tiny punched heart to the side of the banner. Done and done! Pop that baby in the mail! I hope you'll join us over at Fab Friday to see the rest of the Design Team samples and then play along with your own creation. Remember you have almost 2 weeks to enter our challenge so there's no excuse! I am just loving these balloons from the Occasions catalog! The matching punch makes them even better wouldn't you say? I've used just a single balloon from the Balloon Celebration set a lot lately. I think it compliments so many other sets in the Occasions catalog so its uses just expands so much! I've been trying to be better about digging through my scrap folders before cutting into a larger piece of cardstock. My file drawers are starting to bulge with all the scraps so I'm trying to take a moment or two to see if I've already got a piece of cardstock that would work instead of just jumping right to the cutting table. I found this already embossed piece of Whisper White cardstock in the scrap folder and I thought it would work for this birthday card. As with a lot of my cards lately this one was for a sketch challenge that is long since closed. I don't even know which one any more. I seem to have some trouble getting a card made, photographed, edited and posted in the week that most of the challenges are open for. Better to share late than not at all right? I used a Whisper White thick card base and then used a layer of the It's My Party DSP stack in the Occasions catalog (see what I was saying about the Balloon Celebration set being so versatile, it even goes with this DSP design!). I stamped the balloon string in black and then I hand cut the embossed piece and gave it a little bit of a curve to go with the curve of the balloons. I stamped the balloon outline in black, filled it in with the solid stamp which was inked in Melon Mambo and stamped off once. Next I added the darker highlight stamp in full strength Melon Mambo ink. The coordinating balloon punch made quick work of cutting it out. I used the Wink of Stella pen to give the balloon a quick shimmer before popping it up with a dimensional. The sentiment was stamped on the DSP after I popped the Whisper White embossed layers up with more dimensionals. This would be a great card to make a stack of to give as a gift or if you have a very busy birthday month coming up and want to start prepared to get those cards in the mail on time! Lofty goals but they can be done! I better get my Valentine's Day ideas posted before I run out of time! The days seem to be flying by lately! You can't beat a good pun and cute little pig can you? The polka dot DSP is from the Sale-a-Bration Wildflower Fields DSP pack and I cut it on an angle and added a strip of Pink Pirouette. I used the Little Letters thinlets to cut some black X's and O's to add to the band across the card. The pig was stamped on Pink Pirouette and I colored in his ears and nose with the Pink Pirouette marker and then cut him out. He's mounted on a Soft Sky panel with a Whisper White frame. I can't get enough of these little Blushing Bride Glimmer Paper hearts so I added a few. They are just the right size for the pig aren't they? The final thing is the sentiment "hogs & kisses" stamped in Basic Black.